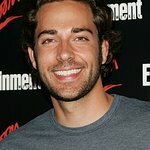 Over a dozen celebrities participated in the event including Zachary Levi (“Chuck”), Joel David Moore (“Avatar”), Missy Peregrym (“Rookie Blue”), Jason Ritter (“Parenthood”), Geoff Stults (“Enlisted”), Nicole Sullivan (“Cougar Town”), Michael Trevino (“The Vampire Diaries”), Alan Tudyk (“Suburgatory”), Aisha Tyler (“The Talk”), Jenna Ushkowitz (“Glee”), James Van Der Beek (“Don’t Trust the B—— in Apartment 23”), Kate Walsh (“Private Practice”) and Patrick Warburton (“Rules of Engagement”). Teams of six racers consisting of one celebrity skier, one professional skier, and four amateur skiers/Operation Smile donors competed in a friendly challenge to raise funds for the organization. 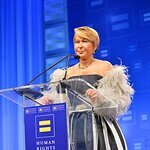 Billy Bush, NBC Entertainment President Jennifer Salke, 3 Moms on a Mission’s Stephanie Argyros, Krista Jajonie and Daneia Sanadiki and actress Kate Walsh served as Event Chairs. Henry Salke served as Junior Event Chair for the third consecutive year, and Operation Smile Ambassador Zachary Levi’s company, The Nerd Machine, served as the returning Title Sponsor. The Nerd Machine is currently running a crowdfunding campaign to create a fourth annual series of Conversations for a Cause in support of Operation Smile at www.iwantmynerdhq.com. Additional Event Sponsors included Canyons Resort, Argyros Group and the Rodosky family.